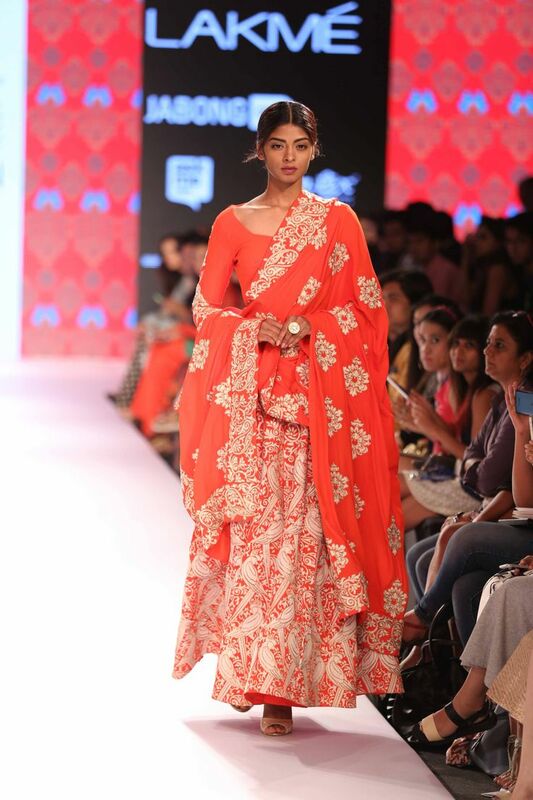 Surendri by Yogesh Chaudhary Showcased amazing ethnic wear collection at the ongoing Lakme Fashion Week resort 2015. 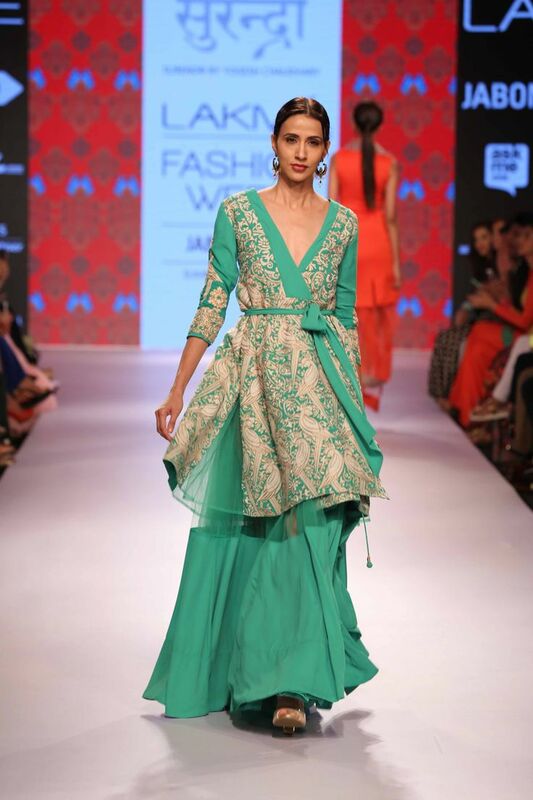 The collection which was titled Mithu has a lot of tropical elements with delightful splash of colour. The collection also featured a lot of bird motifs on shararas, lehengas, sarees and dresses. Yogesh Choudary has done a fabulous job at reinventing Ethnic indian wear . 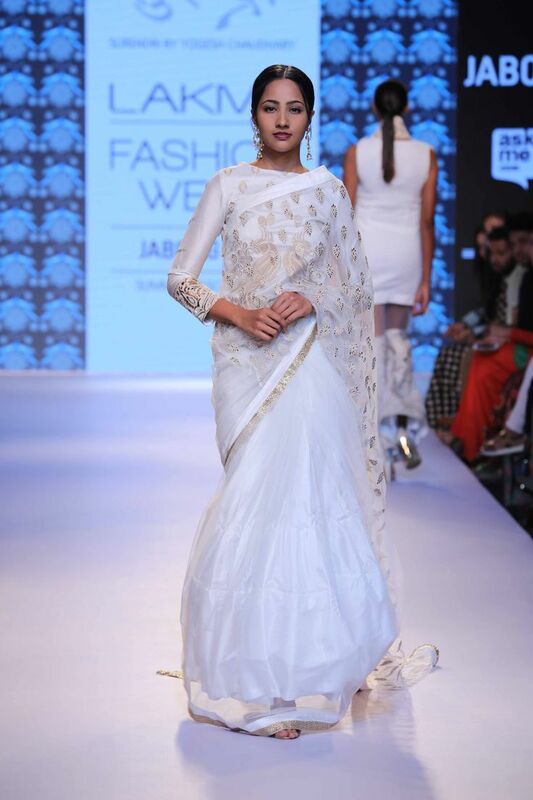 I particularly loved the silhouettes and the drapes, the sheer shararas are drool worthy, lusting over them!. For brides who want to keep it bling free. Those parrot motifs will make a statement. Love Everything from this look, the colour, the silhouette , the waist belt. just pure love. Ethnic Perfection. Love how this whole look comes together. The drape is wow. comfort, bird motif. Whats not to love? Super chic. I would buy this in a heart beat!